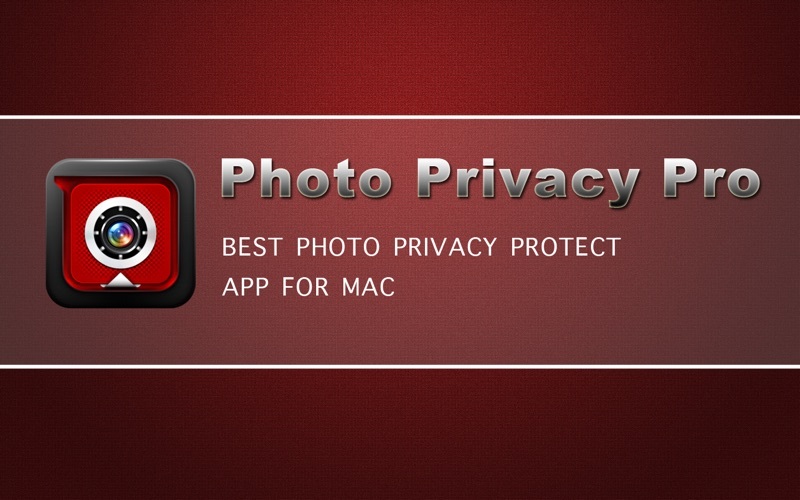 Photo Privacy Pro is a useful application to protect your privacy by removing metadata (GPS, EXIF, IPTC) from your photos. If you put your photos on the internet, it can be known some personal information from the picture like where you took this photo. With Photo Privacy Pro, you can watch which information have stored in your photos, and if you wish you can remove all those metadata from those photos. It creates a private copy of your pictures, which you can use to upload to your favorite social network or image hosting service, being sure that no private data is stored in the image. 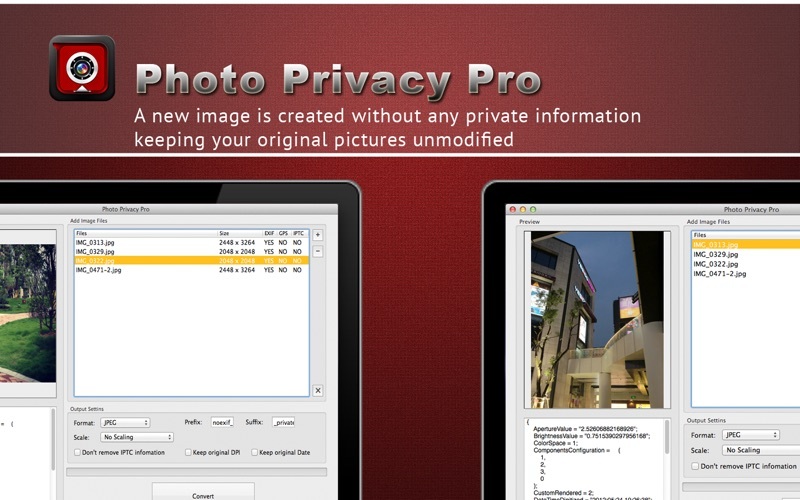 Photo Privacy Pro is a well-organized and powerful to protect your photos from prying eyes. 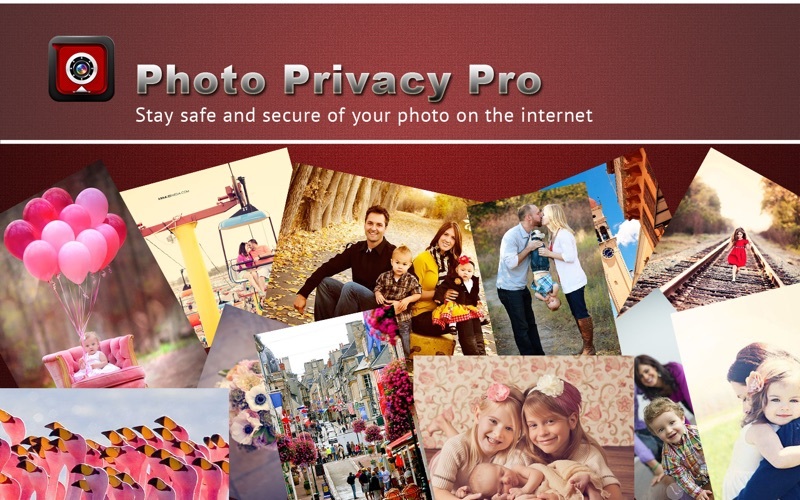 It is a user-friendly application to guarantee the security of the photos and erase your worries. -- Support Drag & drop photos. -- Batch convert image files to another format. 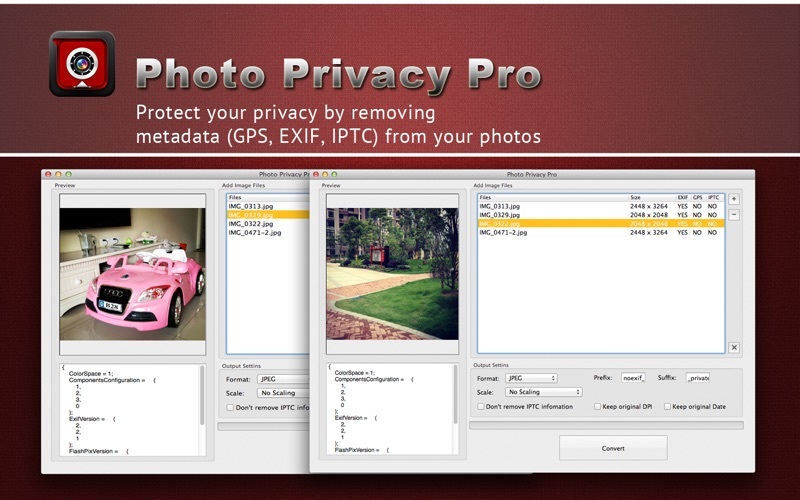 -- Batch remove metadata (GPS, EXIF, IPTC) from your pictures. -- Safe: A new image is created without any private information, keeping your original pictures unmodified. -- Easy to use interface. Two easy steps to get your private pictures.